Everyone is, or was, a beginner at some point. 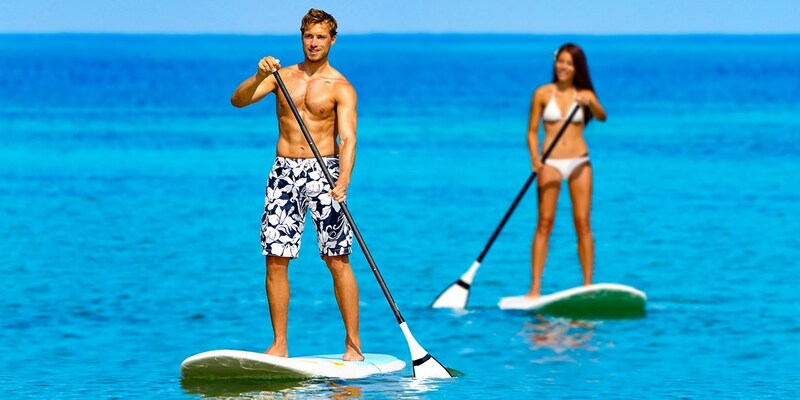 With Maui Beach Boys, our goal is to help you relax, feel comfortable, and most of all, have fun. 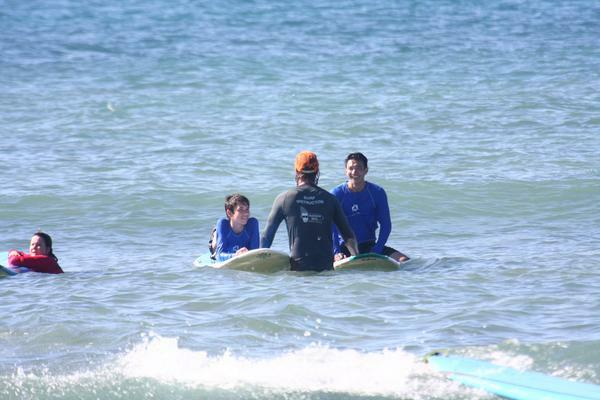 Lessons are simple, you show up, we get you geared up, then offer awesome beach instruction that will have you up and surf­ing in no time. We will start you with a dry land les­son to facil­i­tate and max­i­mize your efforts once in the water. 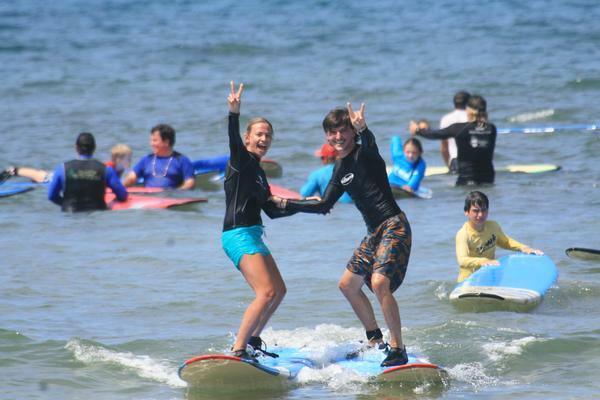 Instructors are in the water with you, help­ing you “read” the wave, and help­ing you with surf­ing etiquette…(believe it or not, there are “road rules” out there). 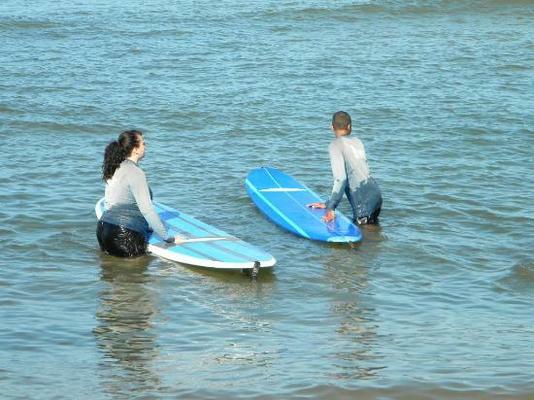 Our instruc­tors will assist your pad­dling so you have the best oppor­tu­nity to ride waves. Lessons are two (2) hours long and con­sist mostly of water time. 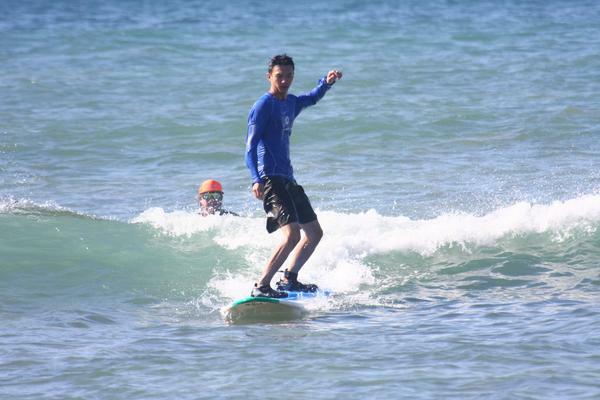 Two hours is per­fect to have fun, ride waves, and get the feel of surfing. Reef walkers, rashguard, surfboard and a drink to cool you off after your lesson. 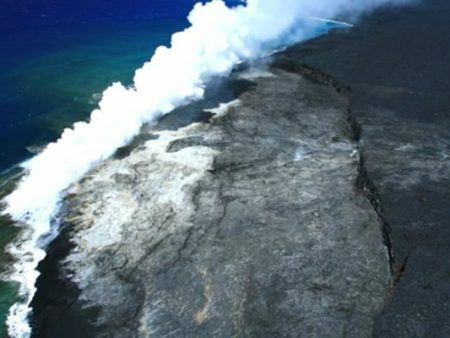 Ladies, please wear shorts over your bathing suit, as the cloth on the surfboard can cause a rash. 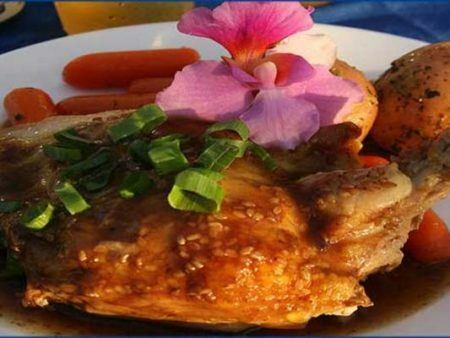 Departing from Lahaina, enjoy a memorable evening of dancing and dining aboard Maui’s largest and most stable 120 foot yacht, the Maui Princess. 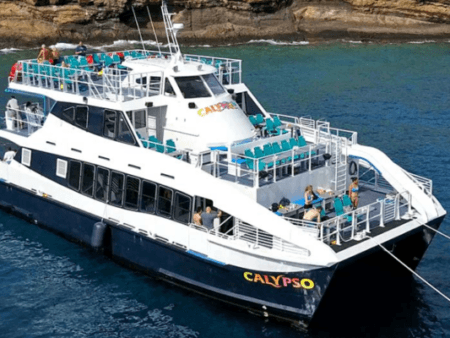 Welcome aboard the newest Maui Dinner Cruise vessel, the Calypso. Relax and have fun on board the 65 ft. three-deck catamaran. Over 4000 square feet of table seating and three restrooms await on this large, stable vessel.